After 2 open heart surgeries, Olivia had become healthy enough to go home with her parents. After a month, Olivia had a routine cardiology appointment that revealed her bicuspid aortic valve needed to be addressed. A cardiac catheterization showed adjusting the aortic valve would not solve the underlying problem; Olivia's left ventricular function was weak. 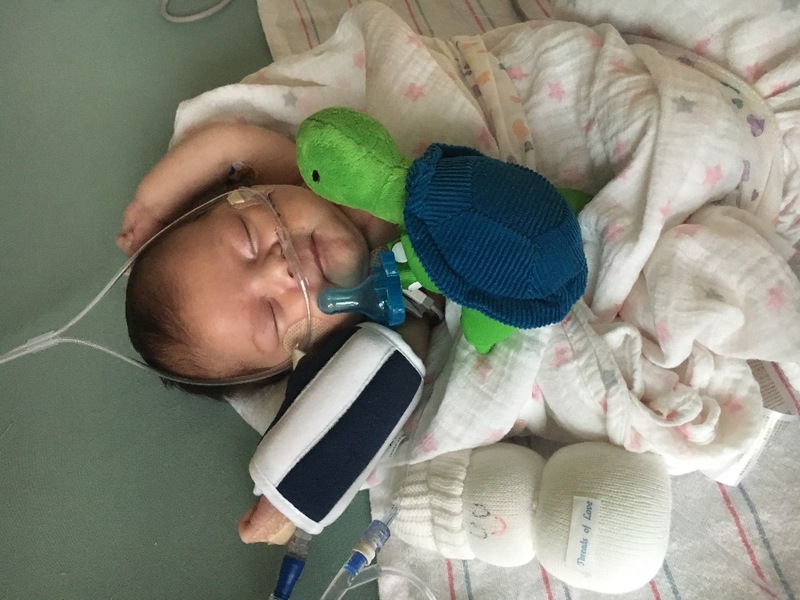 During overnight observation, Olivia coded, was revived, intubated, and stabilized. Olivia was flown to Texas Children's Hospital in Houston so the doctors could determine the chemistry of finding the right medicinal combination to get her stronger for another cardiac cath, ecmo, or a heart transplant. After bravely fighting numerous battles, Olivia passed away on Friday, June 30, 2017. This page is to help with funeral/memorial expenses for Olivia. Please continue to pray for Ileana and her family as they are going through this difficult time. Olivia Ann was born on February 20th, 2017, more than a month earlier than her projected birthdate. Ileana and Joe Willie were blessed with a beautiful baby girl at 7lbs, 3 oz. She was placed in the NICU for extra care and two days later joined her mom in her postpartum room. A day following, her nurse noticed Olivia's slight labored breathing and called for a cardiology consult. 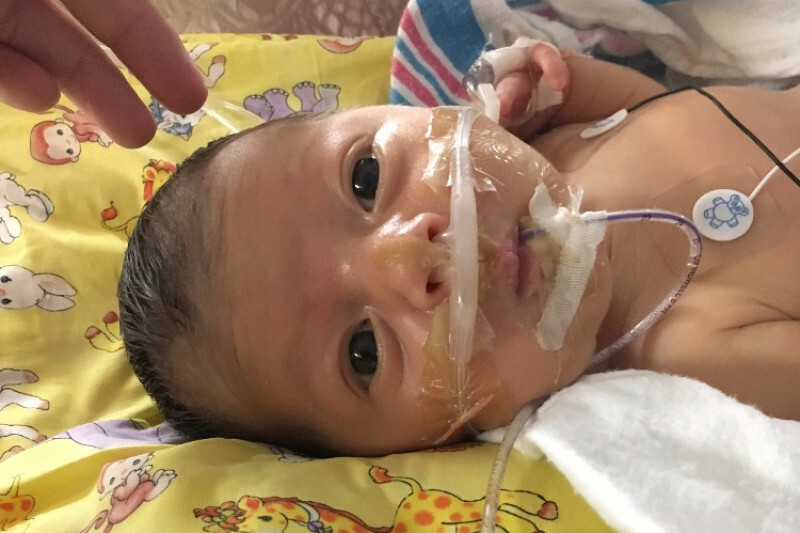 The cardiologist established her prognosis as hypoplastic aortic arch and ventricular septum defect, and Olivia was immediately transported to Methodist Children's Hospital, an elite neonatal cardiology hospital. A week passed, angiograms and routine echocardiograms revealed Olivia needed a full aortic arch repair, which required bypass and an incision through her sternum, and bands placed on her pulmonary artery, a temporary solution for the gap in her ventricular septum. Another preoperative concern was a congenital chylothorax, an accumulation of lymphatic fluid around her lung. 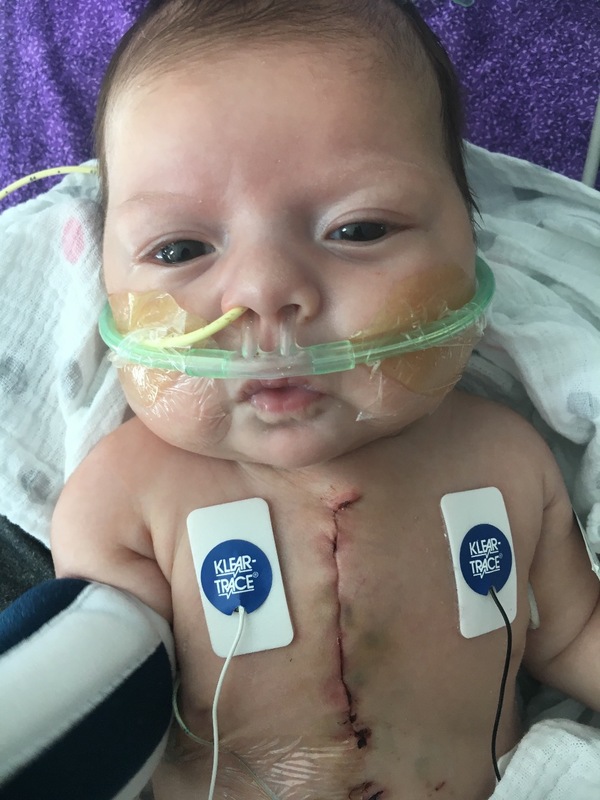 Once the fluid was drained and kidney function improved, Olivia was ready for heart surgery at a mere 14 days old. With news that the surgery was successful, things were looking up until the chylothorax spiked to a radical amount of drainage. She was placed on medicine to hopefully stop the fluid leak, but the chylothorax didn't subside and meanwhile migrated to her pericardium. Olivia is now being flown by air ambulance to the Pediatric Lymphatic Imaging Center at Children's Hospital of Philidelphia, the premiere hospital for neonatal lymphatic imaging and intervention in the United States, to undergo a lymphatic angiogram followed by surgical intervention. Olivia Ann arrived in Philadelphia on March 30 and a lymphatic angiogram and cardiac catheterization were performed the following evening. The angiogram confirmed persistent lymphatic fluid around her lung, however the imaging could not determine if Olivia's thoracic duct is occluded or nonexistent and the state of her thoracic duct cannot be verified until the procedure is performed. Based on the cardiac catheterization, the gap in her ventricular septum is too large and poses an increased risk of stroke during lymphatic intervention. The septum defect became more emergent when the scans revealed the bands placed around her pulmonary arteries during the previous heart surgery had slipped. Olivia's lymphatic specialist expressed his urgent concerns about the increased risks and advised that her ventricular septum defect be repaired before lymphatic intervention takes place. Ultimately, instead of waiting until August, Olivia's second open heart surgery will be performed on April 6. This page is to help support our friend and all of the medical bills that her and her new family will encounter. If you are unable to contribute financially, please send well wishes and prayers for this family. 5 days post ventricular septum repair. Olivia has been taken of of IV nutrition and she is now on full feeds of skimmed milk. We'd like to thank everyone for all of their support and want to keep y'all in the loop with updates. My most sincere condolences to the Garza family during this difficult time. My heartfelt condolences to Olivia's parents and their family. Members of St. Mary Magdalen parish in Media, Pennsylvania are praying for Olivia! Praying for your little girl. I'm a UNT ADPi sister from 1967.